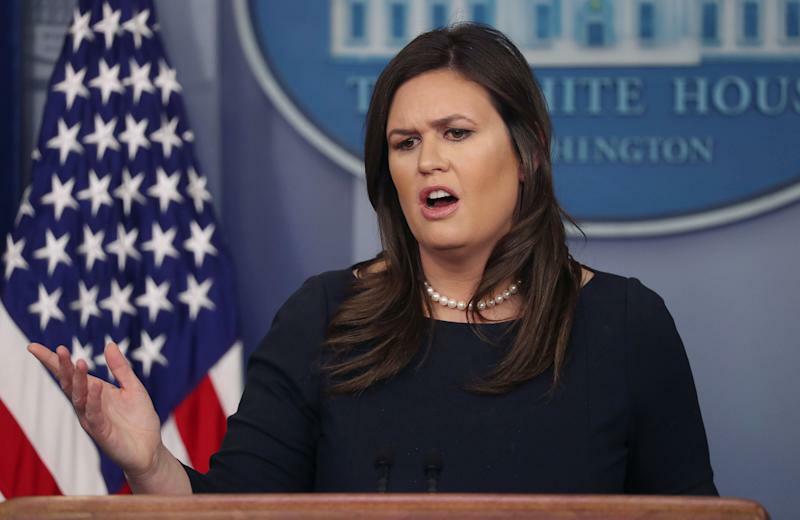 The White House on Monday defended President Trump’s assertion that the Democratic Party has become “anti-Israel” and “anti-Jewish,” with press secretary Sarah Sanders sparring with reporters who challenged the president’s claim. Last week, the House overwhelmingly passed a broad resolution condemning hate, an expanded version of an earlier draft that focused on anti-Semitic implications in remarks by Rep. Ilhan Omar, D-Minn. The wording was changed to meet demands from the Congressional Black Caucus and other progressive groups that it cover all forms of bigotry. All nine of the Jews in the United States Senate are Democrats, and all but two of the 36 members of Congress. Jews overwhelmingly supported Democrat Hillary Clinton over Trump in 2016. In January, King was banned from committee assignments for the next two years after lamenting in an interview that white supremacy and white nationalism have become offensive terms. Trump himself did not condemn the remarks, as ABC’s Jon Karl pointed out to Sanders. “The president, correct me if I’m wrong, has not condemned Steve King,” Karl said. Sanders maintained that Trump has renounced King’s views, but in private. “I speak on behalf of the president on a number of topics, and I’ve talked about that a number of times,” she said. Sanders refused to answer directly. “I think that’s a question you ought to ask the Democrats,” Sanders replied. On Thursday night, the resolution condemning hate passed with the support of 234 Democrats and 173 Republicans. Twenty-three Republicans voted no. King voted present. CNN’s Jim Acosta asked Sanders whether imputing hatred of an entire religion to political opponents is “beneath” the office of the presidency — and whether the American people should expect to hear more of it as Trump ramps up his reelection campaign. Sanders refused to reply directly, but as she has done in the past when facing a question she doesn’t want to answer, attacked Democrats on an unrelated issue, in this case abortion. “I think they should call out their members by name,” Sanders replied.